Look Sharp and Shoot Better! 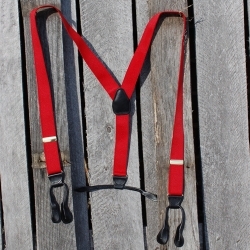 Suspenders worn in place of a belt give the cowboy shooter more freedom to move and feel less restricted. Features 1 1/4" Polyester Elastic Webbing that is strong and has lot's of spring. The premium leather tabs are stitched for long wear. Plus they're easy to get on and off the buttons. Approximate total length of 50." 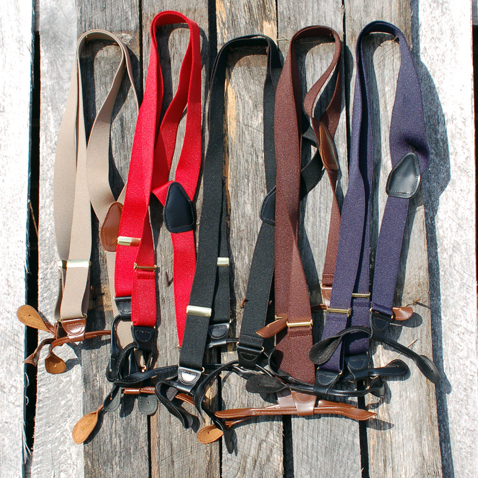 Colors: Red, Black,Tan, Brown and Charcoal. The Cooler Cowboy Shirt by J. Hornaday Dry Goods Cowboy Action Shooting Clothing and Accessories.